What drives a successful lead generation and nurturing strategy for a complex sale? Is it the nature of the leads themselves? Was its success predetermined at the very birthing of the lead because of the way you generated the lead? For example, a lead filling out a hand-raise form for your service has a far likelier chance of success than a lead clicking on a PPC ad for a free iPad. Or is it the learned behavior of the lead, the environmental factors you influence them with through your lead nurturing. In other words, no matter how good the lead is, you need to shepherd these people along and help them understand the value of your product or service. This article was originally published in the MarketingSherpa email newsletter. A Helix (mattress and bedding product manufacturer) lead will convert on average in three months. In that time, they are researching and evaluating dozens of mattress brands and many more mattress types. We focus heavily on lead nurturing through drip emails for people who come through our mattress customization quiz. 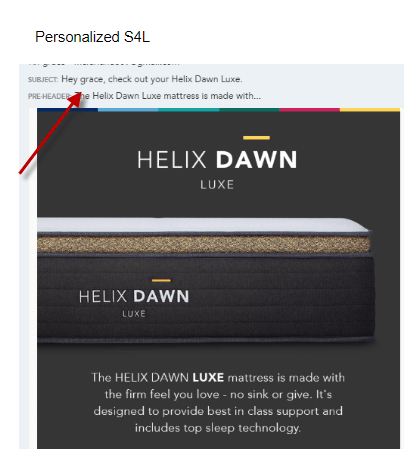 Personalization clearly resonates with this audience and we included the customer’s name in email subject lines. After doing that we saw a 54% increase in open rates which resulted in a 69% increase in revenue generated from that campaign. Through various creative tests, we homed in on what specific value propositions over-indexed from an engagement and conversion perspective and use that to inform content for our standard drip and promotion campaigns. Affordability was one value prop that stood out. Knowing that we were launching with a new financing partner, we sent an email out that had unprecedented returns for the business. After seeing the performance of a one-off financing options email, it was apparent that this is an important proposition in their purchase decision. Since that email, we have featured similar content as a standalone email in our welcome series and significantly decreased the five-drip series decay curve. On average, we see a 38% decrease in open rate from welcome series email one to email two and so forth. After adding the financing email to the series at touchpoint three, the trend reversed and increased 15% from email two to email three. Those words probably sound familiar to you, as Newton’s first law of motion (the law of inertia). As a marketer, you can think of them as a physics-level explanation of a psychological phenomenon — customer behavior. Rare is the customer who will go from zero to purchasing your product. That is, the impulse purchase. For all other customers, they will tend to stay at rest until you get that ball rolling in the direction you want it to go. How do you start building momentum? Well, there are two other crucial payments from the customer that you should earn. And we’re calling them out by name in today’s MarketingSherpa blog post because, while your company may be doing them on some level already, these intermediate payments often get overlooked and under-resourced in favor of the granddaddy of them all — the fiscal transaction. But all three of these payments require a value exchange, not just the fiscal payment. So make sure your company is providing unique value in order to earn all of these payments. In the discovery phase, your ideal prospect shows some interest or has a felt need for your product. Sometimes this is front of mind, and they are particularly interested in the topic in their daily interactions. Other times, it’s very subconscious, and they don’t even realize they were ever considering purchasing your product or even your product category until they come across your message. Inbound marketing is typically a term reserved for B2C companies striving to draw customers in with flashy social media campaigns, witty tweets and beautiful infographics. B2B companies have the very unique challenge of asserting themselves and becoming a voice of authority in their respective industries, and inbound marketing can be a powerful way to do that – the nuances of which are not just reserved for those speaking directly to consumers. Starting off, attracting the right people and the speaking to the right audience is essential in a B2B inbound marketing campaign. Using three simple questions that you can use to structure your own campaigns, see how Stephen Bruner, Marketing Manager of Vertical Markets, Precor, detailed how the fitness equipment company successfully navigated an inbound strategy with a complex sale at Email Summit 2015. Before you start sending a message, you first need to understand who it is that you’re communicating with. Different audiences require different perspectives, pieces of information and credibility indicators than others. In the example below, Precor identified three key industries that it targets as customers. Each industry will demand unique selling points that will best serve the end user. For instance, a traditional club gym might care more about user-friendly entertainment systems and headphone connectivity – features to distinguish them from competition — whereas an educational facility, such as a university gym, would want to know about longevity and quality of products. Once you’ve established who your audience is, establish how you fit into the conversation. This can best be done by either accentuating the positive elements that they already have or reducing, even possibly eliminating negative experiences. Although the content is from Precor, notice that they are not selling product at this level. The content is simply establishing who the brand is in the mind of the future gym owner. The message being conveyed is simply presenting Precor as a resource for fitness center owners. Creating this type of shareable and digestible content makes it easy to follow Precor on Twitter, with the understanding that these articles will help owners alleviate pain points throughout their careers – creating an association of credibility with the Precor brand at the genesis of the business. Lastly, establishing a year-long calendar for each persona is essential in maintaining a healthy relationship with your customers and followers. In Precor’s example below, you can see the color-coded strategy for each persona across the year, having “flow-ups” through the second half of the year. As you analyze the content schedule, you can see a very clear funneling throughout the year, pointing each group toward a purchase. Pointing, that is, but not pushing. For example, from January to April, you can see the healthy content mix of infographics, videos, white papers, blog posts, with a few promos throughout. Fitness equipment is a complex sale, with expensive equipment and a limited budget. This is a very intentional use of email and social content, driving the customer down the funnel with informative and sharable content. This plan establishes when a conversation will happen in a logical order throughout the course of a year, focusing on the long-term relationship between Precor and its customer. By establishing such a plan and creating a hub of content, Precor is not only helping customers make decisions, but also creating fans and building credibility within the industry as a valuable resource. You can follow Jessica Lorenz, Event Content Manager, MECLABS Institute on Twitter at @JessicaPLorenz. How do you serve “ready to buy” customers and “just looking” prospects on the same page? You don’t want to alienate one group while speaking to the other. However, you still need to offer both sets of customers the next step they need no matter their level of interest. To answer that question and more for one B2B SaaS nonprofit, Jon Powell, Senior Executive Research and Development Manager, MECLABS Institute, worked with Shari Tishman, Director of Engagement, and Lauren Wagner, Senior Manager of Engagement, both of VolunteerMatch. VolunteerMatch was selected as the “client” for this year’s Email Summit live test. The team designed a three-part series of experiments, the first two leading up the interactive live test to launch tomorrow, Feb. 24, here at Summit. Since today marks the first day of Summit activities I’ll be giving you a behind the scenes look at Test No. 2 of the series. 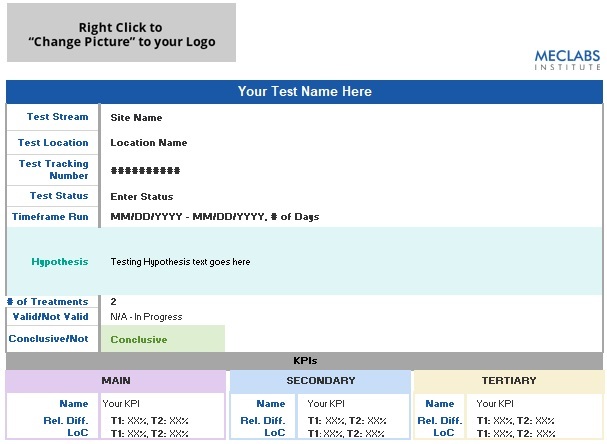 Check out the MarketingExperiments Blog to learn about the test background and call for treatment ideas and to learn about the results and what they mean. Before we get into the specifics of this test, let’s review why this test is important to the series. The solutions page test will help us to understand the most attractive derivative value for actual sales-ready leads to include in the call-to-action section of the email for optimization at the Summit. Basically, we should be able to take what we previously learned about prospects and transfer it to another channel of testing: email. Primary Research Question: Which call-to-action variable cluster will achieve the highest contact page conversion rate? Secondary Question: Which call-to-action variable cluster will achieve the highest total page click-through rate? 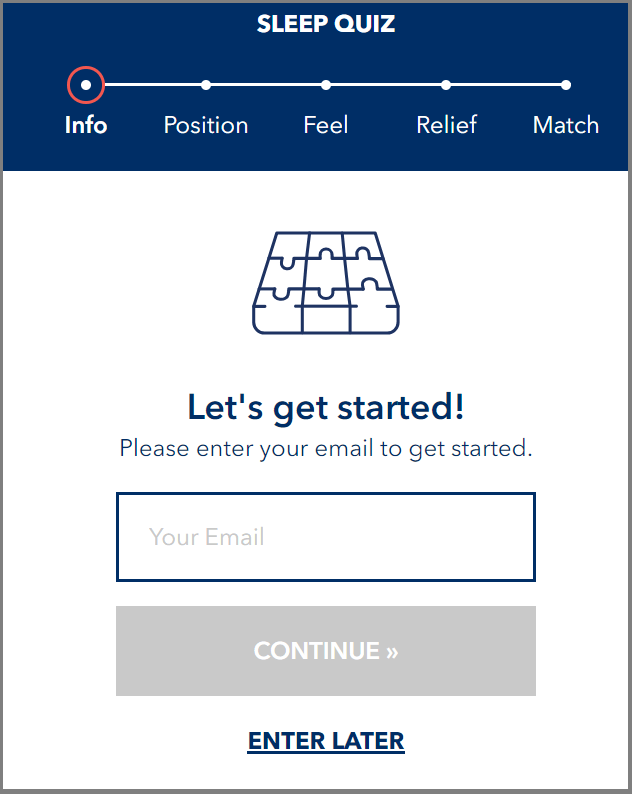 Prior to the test and its control, the VolunteerMatch team had already updated the call-to-action (CTA) on the product page. The original CTA read, “Let’s Get Started Together.” While the CTA did a good job of attracting customers across the spectrum of motivation levels, it seemed the pipeline became full of leads not motivated enough to move forward. This caused a lot of fruitless time for the sales staff. That led the team to create a new CTA, which is the control for this test. To limit the amount of leads entering the pipeline, so that there are more qualified prospects, the team changed the copy to “Contact Sales for a Quote.” However, this left no option for those prospects simply trying to learn more. This lead to the creation of the two-option CTA for the treatment. When conducting analysis on the solutions page, click tracking showed that 2.39% of visitors were leaving the page to go to the demo page. Since that would be a useful place for prospects to learn more if they weren’t ready to buy, the team thought it would make the most sense as a secondary CTA. Instead of letting those lower-motivated prospects blindly stumble around the site, a demo CTA would allow VolunteerMatch to guide them there. The copy of the Contact Sales CTA was also changed. The team hypothesized that “Contact Sales” could have produced a high-level of anxiety in visitors. There was also a lack of clarity. What exactly does “contact” mean? And what will a quote consist of? To help answer some of those concerns, the team developed the “Speak to a Director” treatment of the CTA. Let’s look at the metric results to the secondary research question: overall clickthrough rate. As you can see, adding another CTA increased overall clickthrough. The question after that would be if it this impacted the clickthrough to the Contact Sales CTA. However, there was no statistical difference between the control and the treatment. In fact, no visitor who clicked through to the sales contact form page on the control filled out the form. However, of those who landed on the sales contact page from the treatment, 30% of visitors filled out the form. Additionally, of the 8.1% visitors to click on the demo CTA, 12.5% of them converted on the demo. It’s possible to serve two groups of prospects on one solutions or product page. There can be fear when adding a second CTA that you will lose clickthrough or leads, but you won’t know if you don’t test. For VolunteerMatch, that wasn’t the case at all. The second CTA did not diminish clickthrough to the contact form page. Rather, it seems as if the update copy in addition with another option to learn more allowed better qualified visitors to click through, seeing as the rate of completion went up. Additionally, we were able to better guide lower sales-ready visitors to a page that might be better suited for them: the demo. Adding the demo CTA allowed us to decrease the need for unsupervised thinking on the part of visitors. If left to themselves, visitors might not have found the demo and could have left the site without gaining information that would have led to an eventual sale. Be sure to attend Jon’s session tomorrow after lunch with VolunteerMatch – “Hands-on Live Test Lab: Learn how to improve your already successful marketing” – to contribute to the live test. 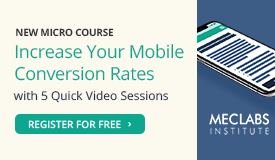 If you’re not able to join us here in Las Vegas this week, we’ll be sharing a case study about the Email Summit live test in the MarketingSherpa B2B Marketing newsletter after Summit. Generating leads organically can ease the qualifying process, throwing “bad” leads out that are simply not worth pursuing. Growing a list organically also allows marketers to know more about a prospect right from the get-go, passing more qualified leads on to Sales. However, when you start supplementing organic leads with purchased leads from a third party, how can you be sure you are getting the most bang for your buck? According to the Salesforce 2015 State of Marketing report, lead quality is the No. 2 most pressing business challenge for marketers today. Plymouth Rock, one of the largest insurance groups offering car and homeowner’s insurance in New Jersey, faced the challenge of ensuring lead quality. “There are a lot of expenses associated with purchasing hundreds of thousands of leads annually, so we are constantly working to maximize acquisition economics,” explained George Hurley, Director of Marketing Analytics, Plymouth Rock Management Company of New Jersey. The team at Plymouth Rock needed a way to ensure that the purchased leads were going to be viable with the ultimate goal of lowering acquisition expenses. With so many leads being purchased by Plymouth Rock, the team determined it would be cost effective to bring on a tool that would help identify bad leads instead of doing it manually. George and the Plymouth Rock marketing team categorize bad leads, or leads that do not sell, in terms of how that lead was generated. For example, if that purchased lead was generated in less than five seconds, that would be a lead Plymouth Rock would not want to pursue. With form fields containing multiple questions and often multiple webpages, George explained that oftentimes, it is impossible for a person to fill one out in less than five seconds. Concurrently, the fraud detection product can also tell the team if thousands of leads were generated from the same IP address located in a foreign country. If that’s the case, it’s highly unlikely they would be looking into insurance in New Jersey. With the knowledge of how a purchased lead was generated, the Plymouth Rock marketing team now prefers to buy leads from aggregators and generators that are also using the tool to identify bad leads. Using the tool for lead audit and fraud prevention is now a best practice for the marketing team, which has lowered expenses at Plymouth Rock. “We hope that others in the industry will follow this practice, driving down expenses,” George explained. The marketing team couples the data now known on how that lead was generated with another tool that provides insights into a particular lead’s authenticity. An example is a lead for “Mickey Mouse” at “123 Main Street” with a phone number of “867-5309,” which is clearly false information. “There are very different purposes in the two technologies, but both work to eliminate leads that we believe to be bad leads,” he said. By better understanding how purchased leads were generated, the marketing team has been able to improve the relationships with the sales team because they are providing better-quality leads. Results are communicated via monthly meetings with stakeholders, including multiple leadership departments, and the marketing analytics group pulls daily reports to demonstrate how leads are performing on any given day. “We’re very heavily focused on the acquisition costs, so that’s a conversation piece we’re always having, but with the help of the advanced analytics team … we are also looking into lifetime value metrics,” George said. Since using the lead audit and fraud detection tool, Plymouth Rock saw a 68.8% decrease in cost per acquisition and identified 528% more fraud. The team also noted that almost zero percent of medium- and high-risk leads converted, confirming the success of carefully analyzing how purchased leads were generated. You can follow Erin Hogg, Reporter, MECLABS Institute, on Twitter at @HoggErin. How much is your address book worth? I know that seems like a silly question because very few people even have a little black book that contains all of their contacts’ phone numbers and addresses. Fast forward 25 years and now we carry our cell phones, which have instant access to our address book, CRM, LinkedIn and other network applications and can easily connect you with millions of people around the world instantly. As part of my research and training, I read a series of books on the subject of lead generation through strategic connections with people. I followed the advice and directions that I read in the books and was able to connect with two best-selling authors and set up a phone conversation with them about their methods and principles. Judy Robinett is the author of How to Be a Power Connector: The 5+50+150 Rule (McGraw-Hill, May 2014), a book that provides instant, effective strategies for meeting the people you need to know and bonding with them fast to further both your goals and theirs. Judy is a business thought leader who is known as “the woman with the titanium digital Rolodex.” She has been profiled in Fast Company, Forbes, Venture Beat, Huffington Post and Bloomberg Businessweek as a sterling example of the new breed of ?super connectors? who use their experience and networks to accelerate growth and enhance profitability. Sohail Khan is the author of Guerrilla Marketing and Joint Ventures:?Million Dollar Partnering Strategies for Growing ANY Business in ANY Economy (Morgan James Publishing, Nov. 2014), a book that explains a step-by-step guide on how marketers can set up and use joint ventures to help your business grow. Sohail is the world’s premier “joint venture expert” as featured in Entreprenuer.com, Fox Business, CNN and CBS. He’s also the creator of the “Million Dollar Partnering System,? a well as being a sought-after business growth speaker, coach and author. Sohail works with corporate, business and educational establishments worldwide. B2B Lead Roundtable: Whether the marketer is working with a startup or for a Fortune 500 company, there always seems to be budget limitations for marketing. As a B2B Marketer with tight constraints on time and money, should we invest in networking at events and associations? Judy Robinett: A power connector focuses on being in the “right room.” If you are able to invest in networking at events and associations, be strategic about investing in the ones that your future customers are involved in. Most people attend the same events with their friends and wonder why they never get any new business or quality referrals.? 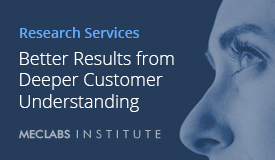 Research your customers and find out where they network, and then do the same. Sohail Khan: Guerrilla marketing is not about having the biggest budget or the largest marketing department; it?s about achieving success using unconventional means. There are free digital groups you can join such as LinkedIn Groups and Twitter that allow you to get really close to your targeted prospects. B2B: How do I know if I need to expand the size of my current network? JR: It is more important to have the right people in your network than to have a huge network. I learned this principle when I lived in a very small town. Between the people I worked with, my neighbor who was a state legislator and other volunteers I served with, I found myself being able to connect with any resource opportunity I needed. I focus on making sure my network of people expands wide across various industries and geographic locations and filled with people of influence and power that we have mutual trust. B2B: What is a strategy you use for connecting with a decision maker if you have never had contact with them before? SK: I will give something of value far before ever asking for anything in return. For example, I have given away my books, one of my training courses which sell for about $500 and I have also trained a company’s business development team “Joint Venture Strategies” for free in order to gain trust with large clients. I believe in the law or principle of reciprocity when prospecting. For the most part, people respond to kindness with kindness. Once I have given value, there is no longer need for a “cold call.” From then on, my interactions with the people I have served are warm and friendly. B2B: What are some unique tools you use to connect with build relationships? (other than phone, email, and LinkedIn)? JR: I was introduced one day to the co-founder of the ACT! Software, which was amongst the first in CRM available. He co-founded a new CRM tool called Vipor CRM, which I use to track and manage my connections. SK: I use Twitter to connect with people. A recent statistic said that there are over 750 tweets delivered every second. It is a great place to generate a response and engage with people. B2B: Why is it so important to become a “Power Connector” like your book describes? JR: Nothing happens in this life without people being involved. The old networking model was transactional; it was based on who you know and what you know. The world has shifted to a relationship model based on who knows you, likes you and trusts you. At the end of the day, you want to be connected to people who have your back and will lift your future. B2B: Why should a company consider a joint venture or strategic alliance? SK: The joint venture or strategic alliance is set up to be a mutually beneficial arrangement for all parties involved. A company can contribute areas of strengths in return for another company compensating for areas where there may be gaps in resources or abilities. The goals for strategic alliances can be for cost-saving initiatives or revenue-generating campaigns. When joint ventures are organized and managed correctly, you can minimize risks and leverage rewards. That is a win-win situation. In conclusion In my conversations with both Judy and Sohail, the most important principles are this: connect with the right people and add tremendous value to them. If you would like to know more about Judy or Sohail’s books, you can visit them at the links below. Each week MarketingSherpa features a book giveaway. This week includes both of the books referenced in this post. Check the MarketingSherpa Book Giveaway and sign up for a chance to win a copy of these books. You can follow Josh Wilson, Content Writer, MECLABS Institute on Twitter at?@TheVillagePush. Lead nurturing involves a number of activities and channels such as ?under the hood? tracking and scoring of prospects behavior and engagement with your campaigns as well as follow-up telephone at times whenever that tactic fits into an overall lead nurturing program. However, the key channel for lead nurturing is email — particularly using email to send a series of relevant content pieces or offers to prospects as they move through the buying funnel. In previous B2B Lead Roundtable Blog posts, I’ve offered a group of MarketingSherpa case studies based around a particular content area. Today, I’m going to highlight one case study — Email Marketing: 133% ROI for B2B’s first-ever lead nurturing program — on a lead nurturing program launched by Crowe Horwath, a public accounting and consulting firm. Christine Elliot, Director of Content Strategy and Digital Marketing, Crowe Horwath, understood the value of lead nurturing to both fill leaks in the sales funnel and improve ROI. When she began working with the “performance group,” a business unit within the firm, Christine was pleased to learn that she didn?t need to pitch the value of launching an inaugural lead nurturing program. The program was based around a 12 to 18-month sales cycle and targeted C-suite executives and large financial institutions with at least $1 billion in assets. The first stage was determining content for the program, in this case, based on four topic areas: Dodd-Frank, anti-money laundering, process improvement and core systems. From there the team mapped content to the early, mid and late stages of the buying cycle. In launching the lead nurturing program, the campaign began with a list of 4,000 executives who would receive a monthly email offer for a piece of content. To even be entered into the lead nurturing program, email recipients had to download content from an invitation email. After engaging and entering the program, list members no longer received invitation emails and instead began receiving one email every three weeks with an offer for free content. The team had 12 pieces of content for each of the three buying stage tracks for a total of 48 pieces of content. The nurtured leads became sales-ready after either downloading three pieces of content or just one piece of late-stage content. Instead of filling out a lengthy form, prospects only had to answer a single question to download content. These questions even had the options of “none” and “other” so prospects didn’t even have to provide any meaningful information, but according to Christine, most did. One question asked recipients if they preferred to receive email on a different topic — a question that might change the nurturing track they were currently on. Lead scoring was improved after analysis of every person in the program, and the team found out that factors impacting lead quality included: asset size, title and behavior such as changing tracks, forwarding material or downloading at least three pieces of content. This was the first automated nurturing program at Crowe Horwath, and it became a model the team uses to deploy similar programs across the company. “Now we’re expanding all over the firm,” Christine concluded. If you found this short excerpt of the case study, clickthrough to read the entire case study with more detail on each step of the program. The holiday season is always a time of reflection for what we have and what we have accomplished over the past year. However, it is also a time to reflect on all we have learned that can help us improve the blank slate that is 2015. Read on to find out what B2B Lead Roundtable Blog posts were shared the most as well as the three topics B2B marketers valued most in 2014. You can utilize this information to better inform your 2015 strategy. Lead generation was a huge topic for 2014 and for good reason. Every lead nurturing campaign, every lead conversion, every sale depends on first generating a lead. But what’s the best way to optimize your lead gen efforts? The best marketers don’t rely on one specific tactic to generate leads. Instead, they utilize a diversified portfolio of channels. The best way to build this concept is to approach your marketing strategy in the same way a portfolio manager would approach a mutual fund. Namely, this means diversifying your leads, establishing a schedule of when you’ll address said leads and testing every element in this process. This post offers ideas on how to expand your lead generation portfolio, and features a free downloadable copy of a mind map for lead gen from Brian Carroll’s Lead Generation for the Complex Sale. Not having your marketing and sales teams aligned can be a costly mistake. Luckily, this is also an avoidable mistake. By simply implementing a few key strategies, such as scheduling frequent meetings between these two teams, you can easily re-align interests and strengthen your overall lead efforts. Learn 31 tips on how to align Marketing and Sales when it comes to lead generation. When you’re in the trenches, it’s easy to get caught up in marketing acronyms, data and analytics. What you need to remember is that, ultimately, lead generation comes down to connecting with people. This personal connection comes down to one idea — empathy. Learn about the importance of putting the empathy back into customer interactions, and then read some simple strategies for achieving empathetic marketing. More than anything else, lead nurturing can help turn a lead from marketing qualified to sales qualified and hopefully into a sale. Here are a few tips we learned this year to help you optimize this process. In the Internet age of uber-informed and advertising-adverse consumers, cold calling just doesn’t work like it once did. Instead, in order to score leads, and ultimately drive conversions, marketers need to make themselves a valuable resource to their prospects. This requires a customer-centric approach that involves staying relevant and informed on what the customer wants to learn and then being helpful and building trust through effective nurturing content. Read on to learn how to modernize your lead strategy. What is and isn’t lead nurturing? A silly question, I know, yet it is one that several marketers continue to answer incorrectly. This seemingly simple concept is one that is actually more nuanced than it seems. Lead nurturing involves providing prospects with relevant and valuable information and helping them on their buying journey, regardless if they ever buy from you. This specialized treatment is much more likely to result in a conversion than sending out generic promotional emails. Learn the exact definition of lead nurturing, and read some examples about what does and doesn’t make the mark. Email is an indispensable tool for today’s marketers, but sometimes the relevancy gets lost between the subject line and send button. Not keeping your customers first in your email sends can lead to something worse than an ignored email ? ?it can lead to an unsubscribe. Read about the benefit of adding lead nurturing to your emailing strategy, and discover six ideas for how to keep relevancy at the front and center of your emails. It’s the easiest aspect to overlook, but it’s often one of the most important components in your marketing strategy — your content. Whether it’s the copy in a brochure or a case study about what you’ve accomplished, what you say to your customers and prospects, and how you say it, matters. Here’s what we’ve learned in 2014 to make content marketing the best it can be. How do you create content that your customers will read? Simple — listen to what they want. Content marketing is an excellent way to introduce customers to your brand as well as to establish yourself as a professional in your industry, but in order to create the best content, you have to first listen to your customers. Watch Ninan Chacko, CEO, PR Newswire, as he explains the five steps to effective content marketing in this Lead Gen Summit 2013 replay. When it comes to teleprospecting, it turns out “what” you ask your prospects is just as important as “when” you ask them. In a 2014 MarketingExperiements Web clinic, testing the time of the “ask” in a call script led to a 31% response increase. The difference? The treatment structured the call script as a story. Learn more about why transforming the call script into a story resulted in this dramatic increase. Marketing automation technology has become an indispensable tool in the complex sale marketer’s arsenal. Lead generation, lead nurturing and determining the time for the handoff to Sales would be extremely difficult without that technology. Add lead scoring and tracking through that final conversion to sale and the task is flat out impossible without automation. Luckily, for B2B marketers there is a wide range of marketing automation options out there from relatively simple solutions that help streamline email marketing to full-blown packages that seem like they do everything but automate the lights and thermostat at the office. To help illustrate how some of your peers are utilizing marketing automation, in this B2B Lead Roundtable Blog post, I’m sharing four MarketingSherpa case studies that cover everything from how automation improved lead gen to how that tech directly impacted the bottom line. SmartBear Software, a B2B cloud mobile software company, was rapidly growing and decided to implement CRM software and marketing automation software as a single process to ensure the two technology pieces would be easily integrated. Once an automation vendor was chosen, the team decided to bring in an outside consultant to expedite the implementation. Keith said this consultant helped speed up the learning curve through training and was able to get the automation solution up and running within a five-day workweek. Automation in place, the team started slow with a few email campaigns, faced some internal challenges, but then quickly began to implement lead nurturing to handle a high volume of leads in different product groups. Lincoln said the automation solution was even integrated with SmartBear’s webinar platform. Results? Lead volume grew 200%, 80% of global leads were generated with automated trial downloads, and 85% of SmartBear’s revenue was generated by the trial download leads. In this case study, Managed Maintenance Inc. (MMI), a provider of management services for technology assets, faced a different problem than SmartBear from the case study above. Where SmartBear implemented automation and a CRM solution together to ensure those pieces were integrated, MMI had marketing automation and a CRM in place, but the two were siloed and weren’t synched — Marketing’s and Sales’ activities and data were completely separate. The solution was to audit the current technology setup, and it was determined that MMI needed to replace both the automation and CRM tools together and, similar to SmartBear, implement the new software pieces together to ensure they would be integrated. Once that occurred, Marketing at MMI was able to begin lead scoring and lead nurturing, and maybe even more importantly in terms of company culture, Sales and Marketing became more aligned because the new technology implementation allowed visibility from lead gen to conversion to sale for everyone involved in the whole pipeline. After completely revamping marketing automation and CRM technology at MMI, lead generation was up 75% over the previous year. Crain’s Business Insurance is a trade publication that faced the challenge all publications are undergoing right now with declining advertising revenue, but at the same time, its industry customers began buying up-front research and content. Because the company has reporters with more than 300 years of combined writing and editorial experience, it was positioned to take advantage of this opportunity. In order to do so, Crain’s implemented marketing automation, revamped and integrated its databases. The company had three databases: print subscribers, online registrants and the newly created marketing automation database — and integrated its content creation process into the marketing automation system. Integrating content creation into the automation solution meant creating content categories and segmenting the database into those different groups to align content creation with certain reader segments. From there, Crain’s implemented lead scoring, and even utilized analytics coming from marketing automation to influence the ongoing marketing strategy. This case study combines a dramatic lift in lead gen along with an impressive impact on the bottom line after CentricsIT, at data center solutions provider, implemented marketing automation. Mandy Hauck, Manager of Marketing Communications, CentricsIT, was the company’s first marketing employee, and walked into what could be called a fairly unsophisticated marketing strategy largely consisting of email blasts. Her background was email marketing, but early on she reached out to marketing automation vendor based on a coworker’s connection with that vendor’s CEO. After a call with the vendor’s sales rep, Mandy knew she wanted to implement automation at CentricsIT and conducted internal marketing to get both Sales and company leadership buy-in. Part of this process included attending a conference on the automation solution in place and learning ways to get Sales involved in planning how automation would be used at CentricsIT. Hopefully you have found something of interest that might help your marketing automation implementation, optimization or pain points. The title of each of these summaries links to the full MarketingSherpa B2B Newsletter article with detailed steps and creative samples, so if any of the case studies shared in this post grabbed you, do click through so you can get the full value of the information and campaigns your marketing peers shared with us.